The engravings are located on a schist rock of an outcrop in the highest part of the chain of mountains named serrat de la Torrassa o Torratxa, in the village of Santa Coloma de Cervelló, Barcelona province. 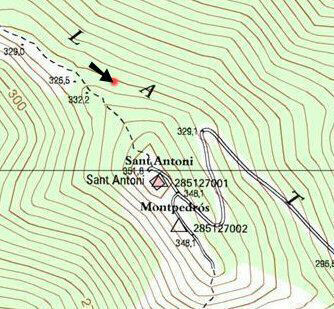 In order to reach the rock we must go to the little church of Sant Antoni, located at the summit of the Montpedrós mountain and, from there, we must go north, following a trail, with yellow and white painted marks, that goes to the village of Sant Vicenç dels Horts. 50 m from the summit of Montpedrós we find the outcrop that holds the engravings. It is located to the right of the path, 5 m from it. Its coordinates, measured with GPS (European Datum 1950), are: 41º 22’ 18” N and 2º 0’ 12.1” E. The corresponding UTM coordinates are: zone 31, x=416649, y=4580576. 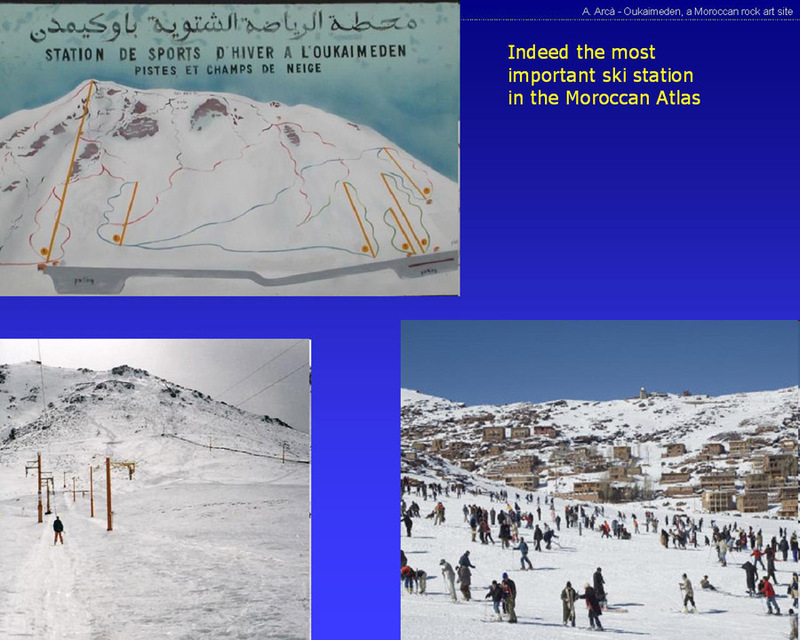 The altitude is 325 m above sea level. The presence of these engravings was communicated by Francesc Anguas. First of all, what is most striking is the very good condition of the drawings. The supporting rock is a schist rock of prismatic form, with little erosion and the edges slightly rounded by friction. The rock doesn’t show any exfoliation. Schist is a hard metamorphic rock. In the Mohs scale of hardness (1: talch, 10: diamond) it has a value of 5 (granite has a value of 4). The rock is lacking a little fragment in the bottom-right angle. On the rest, its appearance is that of a rock that has supported atmospheric erosion very well, either because of its composition, or its shape and the climatic conditions of the place where it stands. On the other hand, the trace of the engravings is regular and deep, which makes them very visible and allows a very good reading of them. On the eastern face, there is a circle, with a little cup mark in the centre. From the left, right and bottom of the circumference 8 short segments, as a prolongation of the corresponding radius, are drawn, imitating the sun’s rays. From the top of the circumference, two longer lines are traced that turn to the exterior, like two horns. 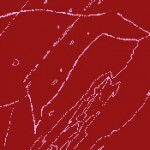 Before they move apart, another line crosses them transversely. So, there is no doubt that this is a drawing of the sun. 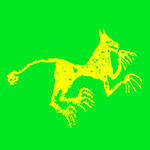 We think that it is a symbol, more or less abstract, of the sun chariot, a well known motif in art and mythology. 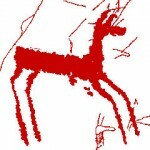 We will see later that it is frequent, in the petroglyphs of certain areas, to represent a deer joined to one or more circles, simulating that the animal drags the sun. 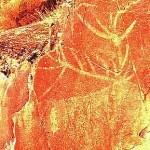 In the case of the Montpedrós art, the sun has a more realistic appearance because of its rays, while the deer is more abstract, showing only its antlers. (See figures 8 and 10). 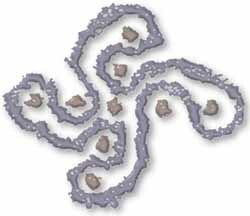 On the northern face of the rock what is more noticeable is a double spiral-right, that makes two and a half turns and ends with a set of parallel lines that give the drawing the look of a snail shell where it’s easy to imagine the soft flesh. 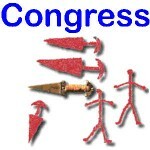 The group is completed with five small cup marks on the top, one of them moving apart from the others. One can easily put one’s right hand fingers into these holes. On the bottom there is another spiral-left, smaller than the first one, that makes two turns. 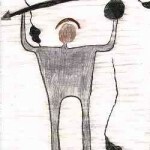 Next to it there is a set of indefinite lines, that one can read as two little circles with a groove that joins them to what seems to be another head with horns. It can be another figuration of the sun chariot. (See figures 9 and 11). 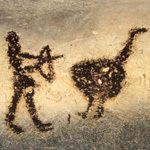 All over Europe, the scenes made with geometric abstract motives are in general associated with the Bronze and Iron ages. 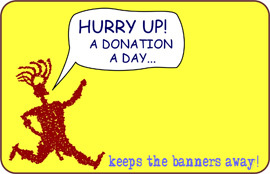 Often they are adscribed to the Bronze age. The spirals and circles are very numerous and typical in the Atlantic megalithism: Ireland, Great Britain, Brittany, Portugal and Galicia; but the presence of the same sun motives (ray circle) in the Mediterranean megalithism shows a notable cultural identity. 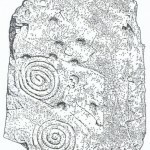 There are well known spirals and circles engraved on many stones in Newgrange (Ireland) or Gravinis (Brittany), among many others. 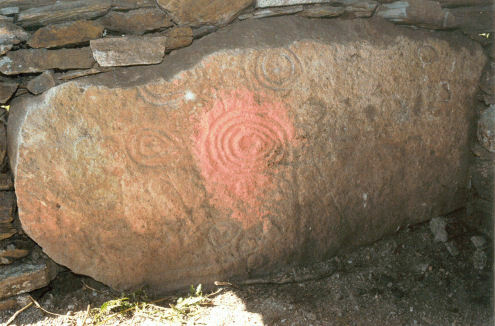 Particularly, in Newgrange and Knowth there is a variety of double spirals similar to that of Montpedrós. 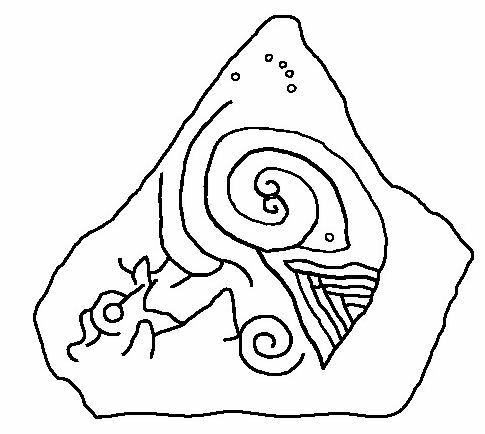 While speaking about the origins of megalithic art in Ireland, O’Sullivan notes that the earliest manifestations relied on a small repertoire of basic geometric elements. 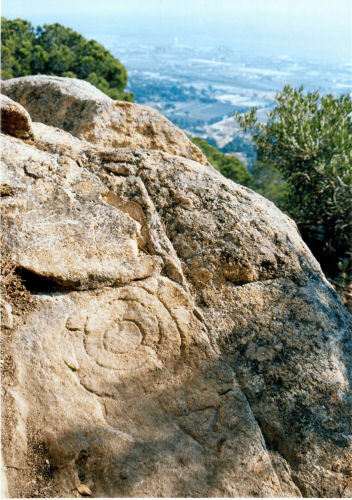 Parallels for this repertoire can be cited in western Iberia, mainly in megalithic tombs but also, in the case of the spiral, on living rock in the countryside. [10, p. 10]. 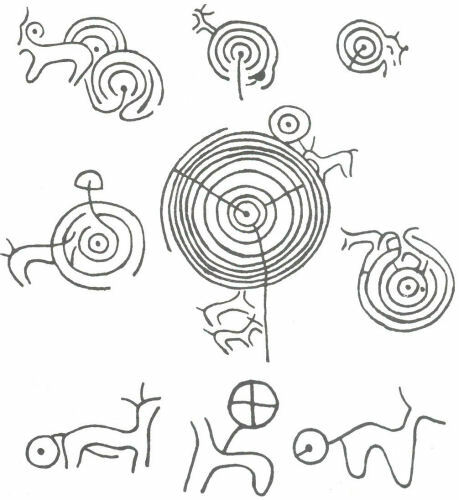 Some of the galaic petroglyphs show concentric circles joined to a representation of an animal with horns, giving the feeling that it drags a disc. This representation is interpreted usually as the sun chariot, that often appears in the symbology of many ancient peoples; including the most famous of Apollo –the Roman God- driving the sun horses in classical mythology. The zoomorph is often drawn with single horns (not branched) but we can think of it as a deer. (See figure 2). 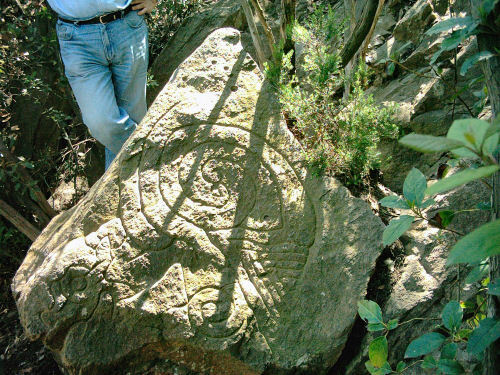 In Catalonia the engravings on rocks that can be related to the art in Montpedrós are rare. The most interesting parallel, because it is found in a place next to it, is that of the slab of Puig Castellar, in Sant Vicenç dels Horts. In the years 1957 and 1962 some archeologists dug up an Iberian settlement located there and a slab was found that had on its surface a group of cup marks and two spirals. The authors of the works said that the spiral theme is very frequent in protohistoric art and in Atlantic megalithism [11, p. 16]. This stone is found today in the Archeological Museum of Catalonia, in Barcelona. Puig Castellar is located 3 km straight from the summit of Montpedrós. From this point one can see the Puig Castellar site perfectly. (See figure 3). 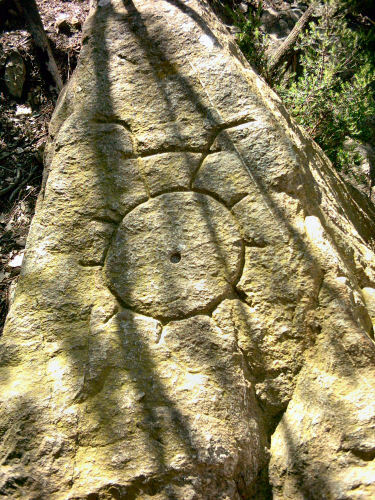 Another Catalan parallel are the concentric circles engraved on a rock in the mountain of Montcabrer, in Cabrera de Mar (Barcelona). . 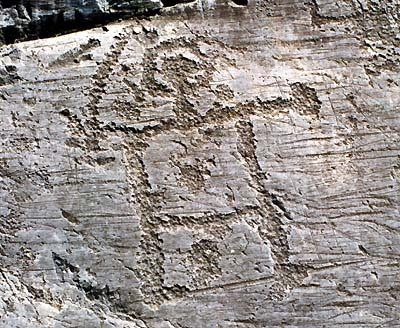 These engravings were also related to that of Puig Castellar and to Bronze age symbolism. Besides the drawings, the Montcabrer engravings show another analogy with Montpedrós: in both cases they are located on the mountain side that faces the sea, on the highest part -yet not at the summit-, on a very dominant site over the coast plains and looking east. What is more, both are located on nearly vertical rocks, like a stela. The geographic locations of the Montcabrer and Montpedrós engravings offer surprising parallels from the landscape point of view. (See figure 7). A third parallel is found in the slab of the Ramon hut, located in the Pla de la Calma, in the Montseny mountains. 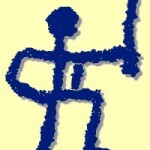 Here the prevailing motives are circles and many authors think that this slab comes from a wasted megalithic monument. [7 and 15]. (See figure 4). 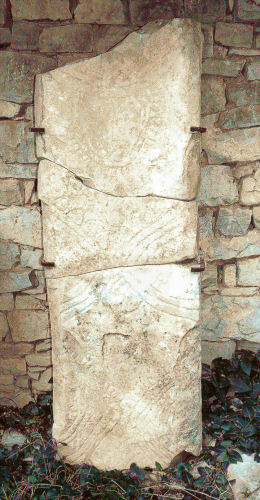 Another parallel is found in the engraving on the entry slab in the dolmen of the Espluga dels Tres Pilars, in Railb (Lleida). In this case the drawing is interpreted as a symbolic representation of the sun horse, derived from the mythology of the sun chariot . (See figure 5). 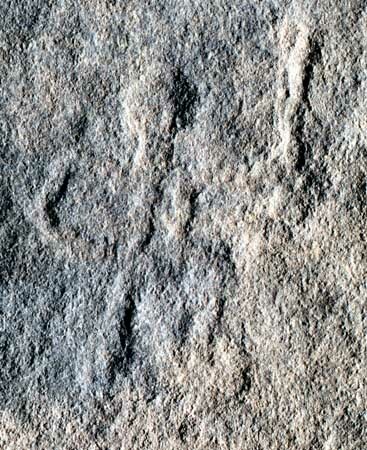 Finally, in Catalonia, there is yet another engraved stone that has appeared in various publications. It is the sun stone from the Sala de Comalats, in Passanant (Lleida). 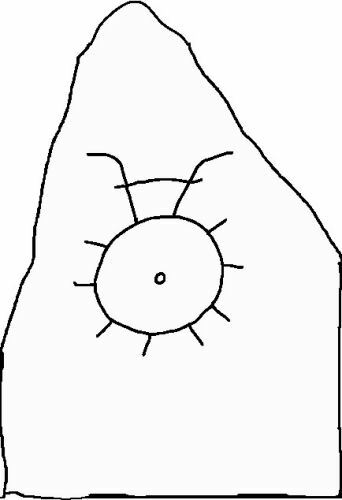 Here we have a decorated stela-menhir with a symbolic scene where one can see circular arcs with external “flounces” representing the sun’s rays. 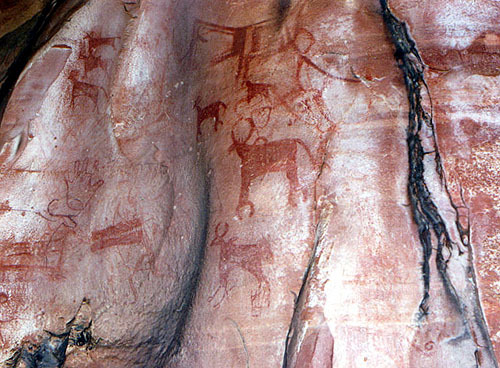 These motives are a bit far from the spirals and circles in rock art, because it is not an accumulation of independent motives but unique scene where each drawing is part of a preestablished and more complex plan, close to the style of megalithic art. 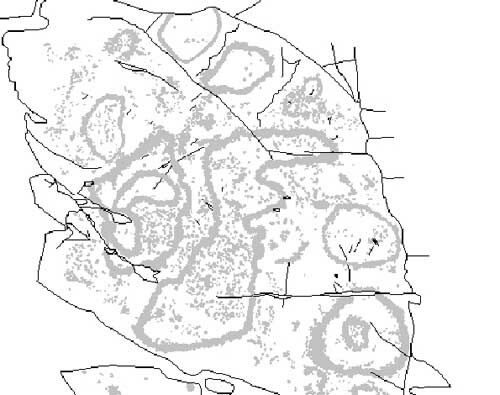 Yet, its abstract style andtypology have a great deal in common with the Montpedrós engravings. . (See figure 6). 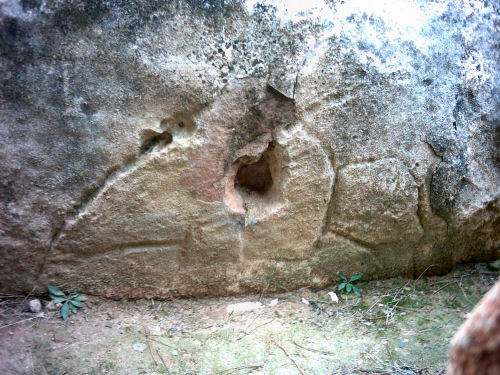 If we restrict ourselves to engravings in Catalonia that show spiral and circular motives, then we only know four examples that, ordered by date, are: Puig Castellar in Sant Vicenç dels Horts, Ramon hut in Montseny, Montcabrer in Cabrera de Mar and Montpedrós. Being as it is a small set, however all of them are located in very dominant sites, in mountain chains in the coastal line or near it. The most interior of them is that of Montseny. If we remind that the parallel European engravings are located in an Atlantic context, really seems that the circular and spiral motives must be related to maritime places, or very close to sea. 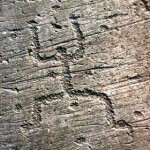 The presence of this kind of engravings in the more interior lands of Catalonia is, for the moment, nil. The site of the Montpedrós engravings has not been dug and their archeological context is not clear, but we can still make some considerations about the possible dating of these drawings and try to set a date –sensu lato– based on their typology. The immediate surroundings have the important medieval remains of Castellnou de Cervelló and fragments of Iberian ceramic have also been found that allow us to suppose of the existence of an Iberian tower on this site. 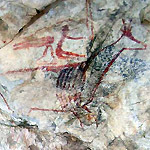 But the motives and scenes of the Montpedrós engravings are very far from the Iberian and medieval tradition of the drawings on rocks. The latter are more likely to adopt aspects more or less realistic, or isolated motives clearly Christian, like, for example, crosses. On the other hand the more recent engravings normally show an incised cutting, light and superficial. In more recent times the engravings that contain words, phrases and dates are frequent (XVI, XVII and XVIII centuries). We could have in Montpedrós a modern elaboration that mimics prehistoric motives of the Bronze age, when, according to the typology, we must date the motives like these of Montpedrós. That would mean, then, that the author must have known the model that he was imitating, either because he had seen it on the landscape, or because he had seen it drawn or described. Because the study and diffusion of this kind of engravings didn’t begin until the second half of the XIX century, and this in very small circles of specialists, it is very unlikely that someone could imitate these drawings based only on references. On the other hand, as we have said, the Montpedrós motives are related to megalithic art, in which they are numerous. But in Catalonia they are very scarce –in fact, we only know the examples that we have mentioned so far-, and for this reason it is not likely that the possible copier had seen the object to copy. The same argument –that of the rarity of similar engravings in Catalonia- serves to argue that we are not faced with an imitation of “popular” forms, more or less general, but without meaning. 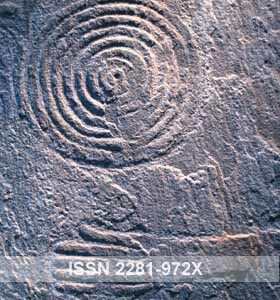 Given the great number of circular motives, spirals, double spirals and labyrinths in megalithic and rupestre art, given its great extension into the European area and given its scattered distribution in Catalonia, we must conclude that the symbols had a precise meaning to the people that drew them, so they could make similar figures without ever seeing the model, in a way like what happens with Christian crosses. While in the case of the sun representation –and the schematic zoomorph with horns that drags the sun- the meaning is clear, in the case of spirals –and the feeling of movement that they bear- the interpretations are more difficult. Many authors say that they are representations of the waters or the astral cycles. Others derive the spirals from the eyes. In our case , the double spiral reminds us of the marine snail named nautilus, but this is only a formal suggestion, nothing more. Ripoll, Barberà and Llongueras [11, p.16] say that hallstatic culture contributed to the diffusion of this theme all over Europe. Because the Puig Castellar slab was found on the surface and in an Iberian context, they talk about the presence of spirals in the protohistoric ceramics of the Mediterranean bassin and relate the findings to Iberic culture. They end by saying that the Iberic settlement of Puig Castellar is the next stage of a group of people belonging to the urn fields, in the Llobregat bassin, saying that this relationship seems to be confirmed by the existence of the engravings found in the settlement [11, p. 19].So, although they don’t state this clearly, they date the engravings in Puig Castellar to the Iron age, in this way the slab of Puig Castellar would be an Iberic product of hallstatic filiation. On the other hand, the engravings of the galaic rock art are dated, generally, in the Bronze age and are considered a continuation of megalithic art [5, p. 321]. With regard to the way the engravings of Montpedrós were done, they were probably executed by picking –by striking an acute instrument with a hammer-, because curved traces are difficult to do by incision –consisting of the penetration or friction of a cutting instrument. We must say that in the megalithic art engravings the technology of picking is dominant and the drawings are slightly deeper. 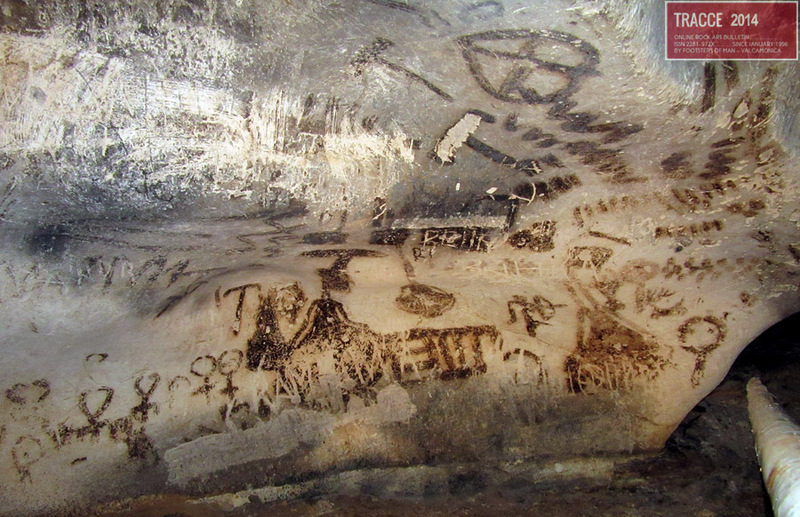 That is a big contrast with the deep and clear trace of the Montpedrós engravings. This fact makes them a bit suspicious regarding their age and they could be a modern mock. But there are well documented similar cases [16, p. 155] [13, p. 385]. We can’t exclude that the drawings had been the target of a modern refreshment –redoing the trace- done by diverse people in diverse periods. 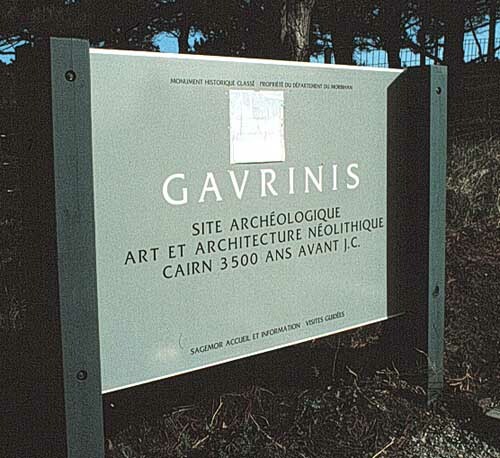 This is very possible because the engravings are located on a relatively frequented site. If this were the case, it would be the refreshment ofmotives of a clear prehistoric tradition and origin. 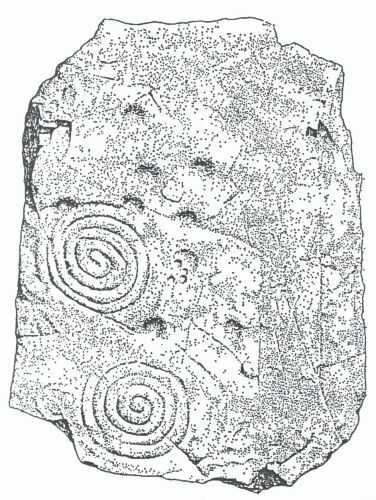 We must note that the variety in the engraving techniques is a demonstrated fact in the peninsular megalithic art and allows us to relate a part of these productions with outdoor drawings of great technical and thematical proximity [2, p. 111]. In either case we think that the engravings of Montpedrós can be dated in a slightly imprecise way to a period that goes from Neolithic to Iron age, but its iconography comes clearly from the ideological substrat of the Neolithic. Looking at the latest data we think that the dating of the slab of Puig Castellar must be go back and it must be dated on the Bronze age. 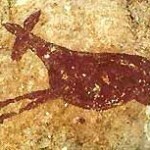 The panoramic view of rock art in Catalonia is far from the richer and more diverse engravings of many other countries. Here very simple motives predominate, the most frequent being cup marks and grooves. Their atribution to a determined cultural horizon is often difficult and complex. We have not archeological materials associated with the engravings and neither methods of absolute datation, so we can only evaluate them by analogy with similar typologies and motives. Motives that, as has been noted, increasingly show the existence of a symbolic pool common to many geographical areas and ranging from Neolithic, to Calcolithic and to Bronze age, showing once again the notable cultural unity of megalithism. On the other hand, their study is a very uncomfortable one, because of the lack of secure relations and because it is easy to make spectacular mistakes. This is not a reason for us not to take the study of these engravings and specially we feel obliged to make them public in order to create a complete set of data, so perhaps in the future someone will be able to give them better interpretations than ours. 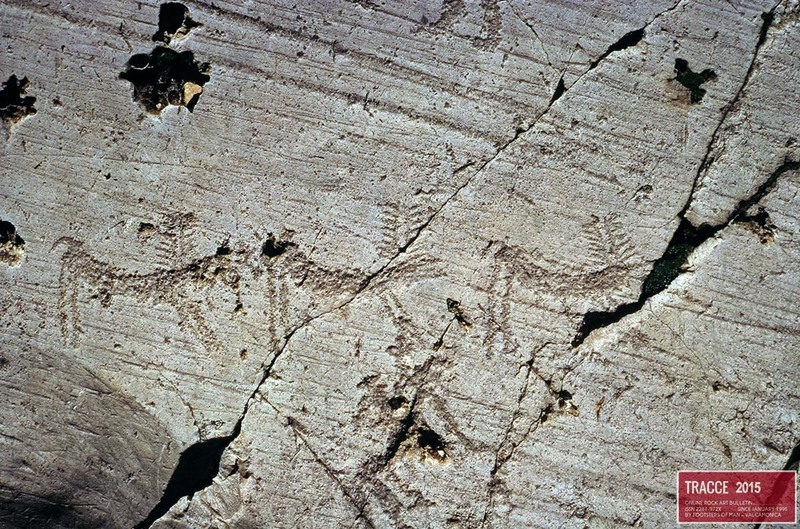 Even more so, in the case of the Montpedrós engravings, we think that we are faced with one of the most interesting sets of rock art in Catalonia. 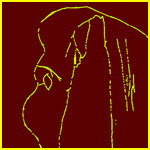 And we think so even assuming the risk that the engravings my be, finally, of modern making. We think that local authorities must take appropiate action in order to conserve and to protect them. Bouza-Brey, F., Los petroglifos de Monte Penide y los estudios sobre arte rupestre gallego-portugués, Separata del Anuario del Cuerpo Facultativo de Archiveros, Bibliotecarios y Arqueologos, vol. II, 1934. Bueno, P., de Balbín, R., Arte megalítico en sepulcros de falsa cúpula. A propósito del monumento de Granja de Toniñuelo (Badajoz), Actas del III coloquio internacional de arte megalítico, Brigantium, vol. 10, 1997, p. 91-121. Déchelette, J., Le culte du soleil aux temps préhistoriques, Revue Archéologique, Janvier-Juin 1909, Tome XIII, p. 305-357, Juillet-Decembre 1909, Tome XIV, p. 94-123. 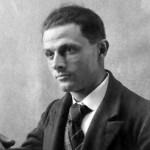 De la Peña, A. i Vázquez J.M., Los petroglifos gallegos, Cuadernos del seminario de estudios cerámicos de Sargadelos, núm. 30, A Coruña, 1979. 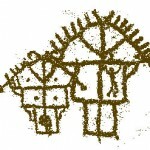 De la Peña, A. i Rey, J. M., Arte parietal megalítico y grupo galaico de arte rupestre: una revisión crítica de sus encuentros y desencuentros en la bibliografia arqueológica, Actas del III coloquio internacional de arte megalítico, Brigantium, vol. 10, 1997, p. 301-331. 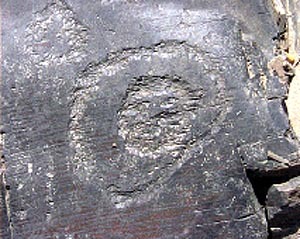 Farell, D., Les inscultures prehistòriques de la cova dels tres cercles del Montcabrer (Cabrera de Mar, el Maresme), XVI Sessió d’estudis mataronins, Museu i Patronat Municipal de Cultura, Mataró, 2000, p. 7-13. Maluquer, J., L’economia i les estructures sòcio-polítiques del neolític, Història de Catalunya, Salvat Editors, vol. I, Barcelona, 1978, p. 105-118. 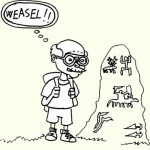 Mas, M. i Pallarès-Personat, J., Els gravats rupestres de Catalunya. 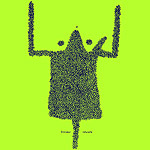 Una aproximació al seu estudi, Espacio, Tiempo y Forma, Serie I, Tomo 2, UNED 1989, p. 173-191. Moreu-Rey, E., Pedres decorades de Passanant, Boletin Arqueológico, 69-70, Tarragona, 1969-1970, p. 135-140. O’Sullivan, M., Megalithic Art in Ireland, Country House, Dublin, 1993. Ripoll, E., Barberá, J., Llongueras, M., Poblado de Puig Castellar (San Vicente dels Horts, Barcelona), Excavaciones Arqueológicas en España, núm. 40, Madrid, 1965. SheeTwohig, E., The Megalithic Art of Western Europe, Clarendon Press, Oxford 1981. Shee Twohig, E., “Megalithic art” in a settlement context: Skara Brae and related sites in the Orkney islands, Actas del III coloquio internacional de arte megalítico, Brigantium, vol. 10, 1997, p. 377-389. Torres M., Tarragona, J., La balma sepulcral de la Força i el dolmen de Solsderiu, a Megalitisme, gravats i cupuliformes, Grup de Recerques de les Terres de Ponent, 2004, p. 135-153. Vilardell, R., Castells, J., Hallazgo de una estela decorada en el Pla de la Calma, Pyrenae, núm. 12, Barcelona, 1976, p. 181-182. Villes, A., Les figurations dans les sépultures collectives neolithiques de la Marne, dans le contexte du bassin parisien, Actas del III coloquio internacional de arte megalítico, Brigantium, vol. 10, 1997, p. 149-177. One of the best known sun chariots is that of Trundholm (Denmark) found in the national Museum of Copenhagen. 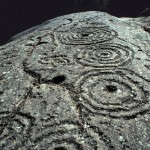 It is dated about 1500 bC, in the Bronze age, and the sun disc is fully decorated with concentric circles and spirals. Farell says in [6, p. 9]that Ripoll and Llongueras thought that the slab of Puig Castellar must belong toa missingmegalithic tomb. In the work of Ripoll, Barberà and Llongueras we have found this affirmation nowhere. 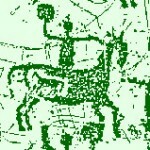 It’s a well known fact that since early times sheperds have done all kinds of drawings on the surface ofrocks. If, as it seems, the Neolithic communities were basically sheperds, this tradition would have very deep roots.